Elvin Ahmeti C’15 took full advantage of North Park’s multidisciplinary academics and internship opportunities, completing a double major in finance and accounting with a minor in biology. 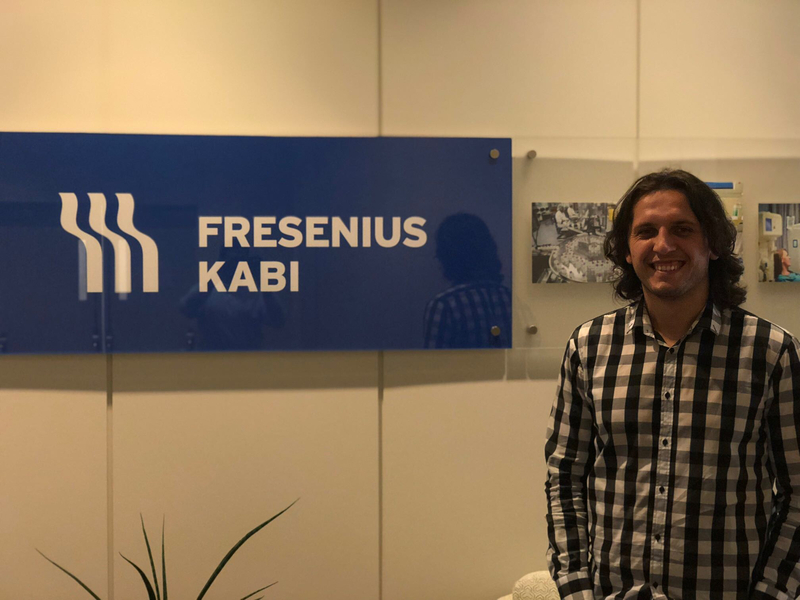 Now based in Chicago and working as a senior financial analyst at global healthcare manufacturer Fresenius Kabi USA, Ahmeti says his combined education in business and life sciences prepared him for his career and helped him to stand out in the job market. Ahmeti developed his skills in North Park’s rigorous business and biology classes, and through an internship as a business analyst at Swedish Covenant Hospital. Ahmeti stayed on-board at Swedish Covenant for another year post-graduation before moving over to Fresenius Kabi. As a senior financial analyst, Ahmeti works in a team to ensure the sustainability of the company’s pharmaceutical product portfolio. “The courses I took at North Park were challenging and properly prepared me for my future,” says Ahmeti, who encourages students to work hard. “Be focused on your end goal and eventually you will reach it.” While at North Park, Ahmeti’s favorite classes were Advanced Finance, Public Speaking, and Management and Leadership. When not working, Ahmeti enjoys cooking, traveling, watching soccer, and learning about history and politics. He considers himself lucky to live in Chicago because of its cultural and culinary diversity. One day he hopes to own a restaurant specializing in artisan sandwiches and breakfast food somewhere warm like Vietnam.